Take A Look She Shopped's Business Strategy That Helps Them Win Business From Partners And Gain Massive Growth. We're going to take you through She Shopped's experience in running giveaways for their partners using Gleam and the lessons learned along the way. Up until now, many of the case studies that we’ve published here have been very focused on a brand or single businesses that runs their own campaigns. We also have a lot of clients that let other businesses leverage their audience and run campaigns for them. I like to call this Distribution Hacking, or the simple art of using your own products to attract a larger audience (other than your own). 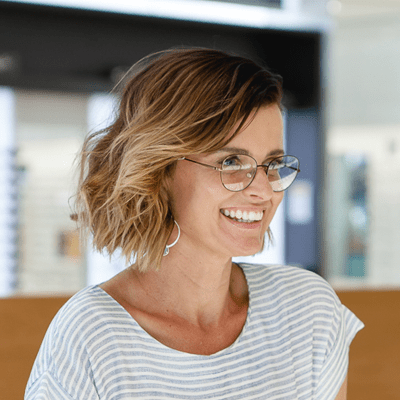 She Shopped is an Australian lifestyle blog run by Lucy Cornes. The site started from humble beginnings in 2012 and has quickly become the destination of choice for females aged between 22 to 44. Lucy’s mission is simple. To connect brands with her audience of engaged females, who love nothing more than to shop online, find the latest bargain or get access to a new product before everyone else. One of the key strategies that Lucy uses to drive results is running giveaways for her sponsors. Giving them exclusive access to her 75k strong community of engaged shoppers, who love nothing more than to win prizes. Why Are Competitions So Effective For She Shopped? Gleam competitions are exceptionally powerful. We can ask the entrant to engage with our social media, visit a specific page on our website, subscribe to our database, become a fan of our YouTube Channel and tell their friends about it all in one hit! I feel that people just asking entrants to “opt-in” to their newsletter or “like” their Instagram account are not fully leveraging the possibilities a competition offers. Lucy needed to find a platform that could enable her to build engaging promotions for her brands, whilst making it easy to set up and maintain campaigns. There’s no doubt that Competitions have been an integral part of how Lucy has managed to grow her business. But what are some of the things you can takeaway from this particular strategy? As a business, you often feel like you’re on your own – fighting the good fight. We can easily get tunnel vision to think that partnering with someone else won’t produce results. Consider the upsides of partnerships, especially when it comes to running competitions together. A partnership can come in the form of a publisher that reaches the type of audience you want (just like She Shopped), or another brand that complements your products (think baby clothes if you sell baby strollers). You get exposure to more than 1 audience, meaning you’re not reliant on doing all the promotion. All parties benefit from the social buzz and growth of email lists. Your prize value increases, due to more sponsorships. Your reach increases, and you reach audiences that have never seen your brand before. It can help you launch new products, announce sales or promotions, or even celebrate milestones. Users become more engaged over time, instead of just engaging them once. You engage users across multiple social networks. We’ve seen too many businesses put all their eggs in the Facebook basket only to be burned. It helps you test new ideas with your customers, and get feedback from them. Use them to build your community. You can use hundreds of methods to run your competitions (and we’d love you to use Gleam), but beyond the setup and the administration businesses often overlook how much work is involved with promotion. Competitions are just like content marketing, 10% creation and 90% promotion. Don’t launch to crickets. Viral loops done correctly can help you grow your mailing list overnight or drive crazy sales. Want to create giveaways where users can refer to their friends and family for more entries?